Boy, piracy sure has been a hot topic in the anime community lately, hasn’t it? Hulu has removed their free subscription option and removed much of the anime from their back catalogue. Anime Strike’s double paywall and inaccessibility in regions outside of America causes controversy. Many people were forced to actually confront Netflix’s model of only releasing airing anime after the series has finished when they got the rights to the highly anticipated Little Witch Academia. Crunchyroll came under fire for quietly lowering the video quality on much of their back catalogue. And most recently, the most well-known and popular anime torrent site has shut down. So the conversation has become incredibly relevant again. Which of course means it’s time for me to weigh in. Short answer? I’m not anti-piracy. The long answer is a bit more complex. “I’m not anti-piracy” does not mean that I’m in favor of piracy. In fact, I am very much in favor of supporting creators and distributors. I heavily disagree with people who choose to pirate everything, and I despise certain groups that rip official subs, as well as certain streaming sites that monetize stolen content. But there are a few things that make me take a stance against the “if you’re not paying for it, you’re not allowed to watch it” stance. First and foremost is that, as much as piracy harms the industry, it also helps it. You’d think every publisher would be anti-piracy, right? Well, I have a friend who owns a publishing house, and we had a conversation where he told me that he’s not, citing an interview with Neil Gaiman, who discovered that the spread of his works through piracy, particularly in Russia, led to increased sales there as more and more people began discovering him. The truth of things is that very few people end up discovering the things they most love by purchasing them. I love the Legend of Zelda series, but the majority of them I either borrowed or emulated for my first playthrough. Now I own every game in the series in some form or another, and all four that I flat-out pirated my first time through I’ve actually ended up purchasing twice. Anime is no exception to people getting into it through piracy. While plenty of people first watched anime on TV, almost nobody makes the jump directly from Toonami to Crunchyroll without some form of piracy in the middle. Any of you out there saying “but I did” right now? Well congratulations. You are a goddamn unicorn. There is, of course, also the matter of many series not being licensed, only having out of print releases, or even–as is the case with a certain company rhyming with Blarmony Cold–being prevented from getting a legal release. There’s also the case of Osomatsu-san, where copyright issues resulted in the first episode getting pulled and the third getting re-edited, meaning those original episodes will never see a release. So the question then becomes “how do I watch these things that aren’t available to me?” The answer is either importing them for an insane price (and likely without an English-language option) or through piracy. Many of my favorite series are or have been legally unavailable at one point or another. Am I supposed to simply not recommend something I love to others just because they can’t legally support it? I am a creator who doesn’t get paid for most of what I create. I’d love to, of course, but I make things for other people because making things that people enjoy makes me happy. I imagine a lot of creators feel the same way. Paying creators is good, and I’m in huge support of it. I’ll put my money where my mouth is on this, as I have more manga and light novels than fit on my bookshelf, and my collection of anime DVD/BDs is slowly growing. When I have the financial means to, I’ll proudly support worthwhile series or services. But at the same time, my opinion is that it is always, always better to pirate media you don’t otherwise have access to than to not access it at all. Arguments that piracy hurts the anime industry are valid, but simply not watching arguably hurts more. I personally think that Anime Strike is a horrible service that exploits its consumers, so I refuse to support it and encourage others to boycott it as well. 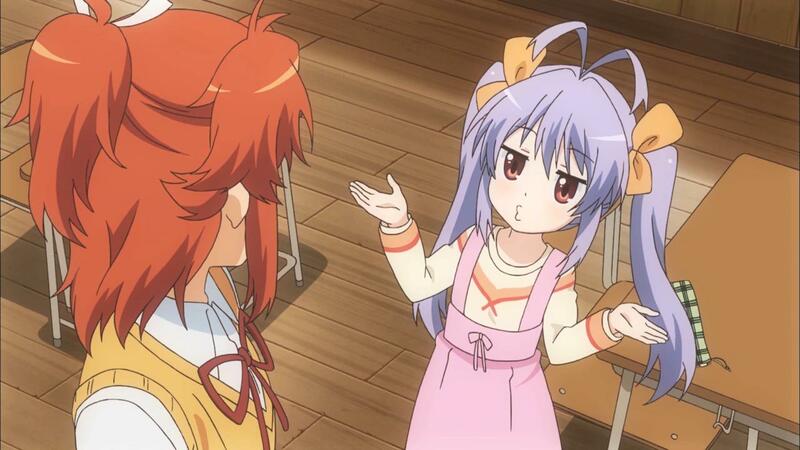 However, is it fair of me to not appreciate the hard work an anime’s creators have put in, just because they’re on a service I don’t like? And if I’m already paying for Netflix and have plans to rewatch Little Witch Academia when it releases, plus buy the physical release at some point, aren’t I doing more good then harm by torrenting it and tweeting about how great it is, potentially getting others to check out the series and support it financially themselves? Going through legal avenues whenever possible matters. It matters a lot. But people can’t always go through legal avenues. There was a time not too long ago when things were so financially tight for me that my budget only allowed for a subscription to one legal streaming service. And while anime streaming is, for the most part, cheap, multiple services can really start adding up quickly. It’s important to vote with your wallet, but unfortunately with streaming that’s not a direct vote for a show so much as it is for a service. Sometimes you’re forced to choose between services. Does that mean you should be cut off from the media they offer? In short, please support the anime industry (and creators in general!) whenever possible. But if you can’t, I don’t think you should lose too much sleep over piracy. It’s obviously not the best option, but it has more advantages than just not watching something. Oh, yeah, and if you’re going to pirate, at least torrent instead of using illegal streaming sites. I mean, ew. Torrents are objectively superior in every way.